This gabled traditional home features an open floor plan that stands ready to meet the challenges of family living. 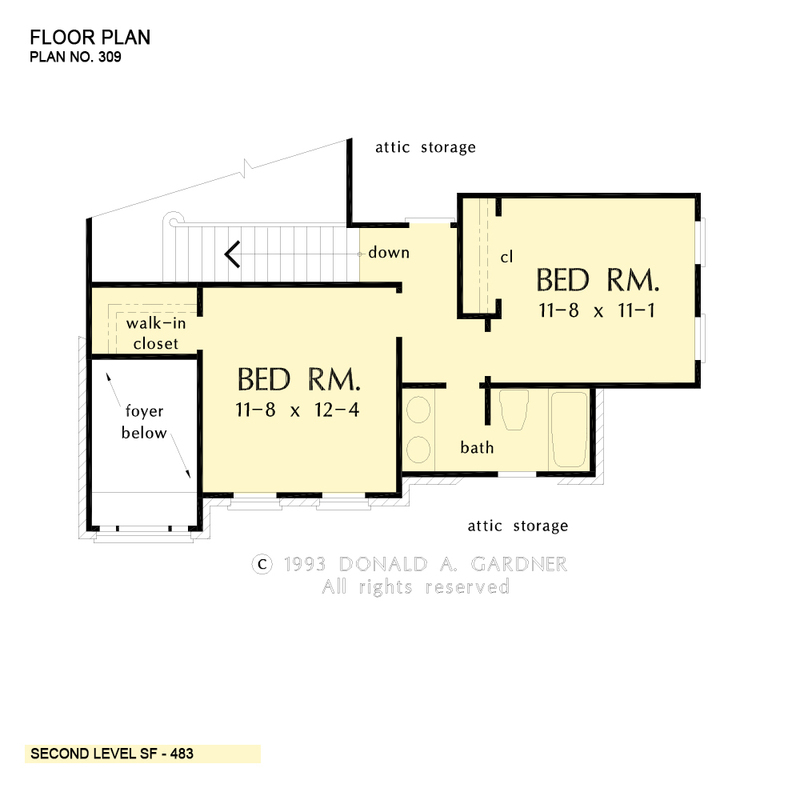 A first floor master suite has double walk-in closets, his and her vanities, shower, ventilating skylights over the whirlpool tub, and plenty of privacy for Mom and Dad. Nine foot ceilings on both floors, a two level light-filled foyer, and a cathedral ceiling in the great room help this plan live beyond its square footage. 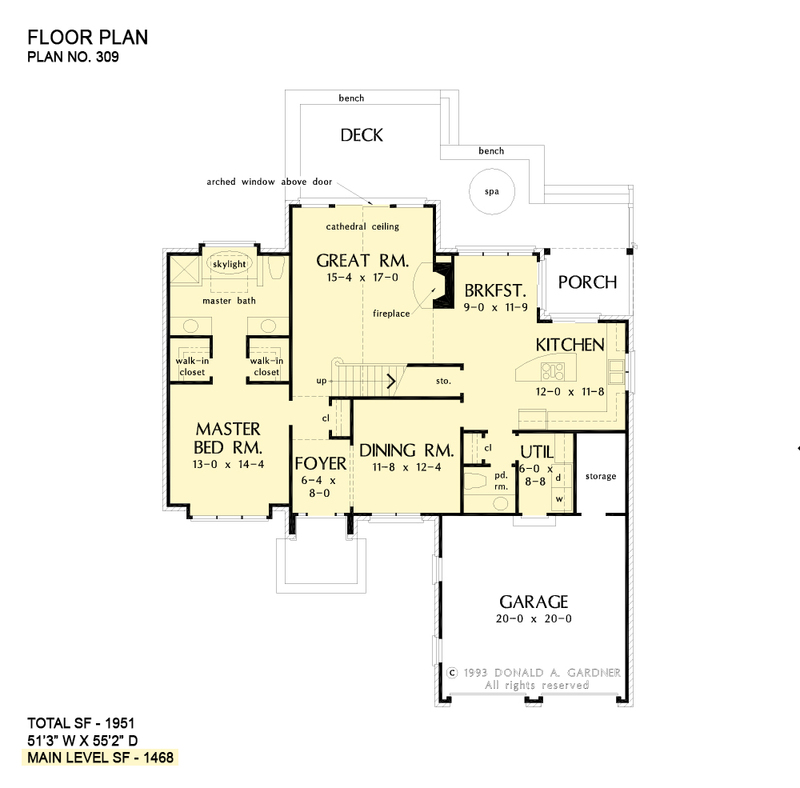 1st Floor: 1468 Sq. 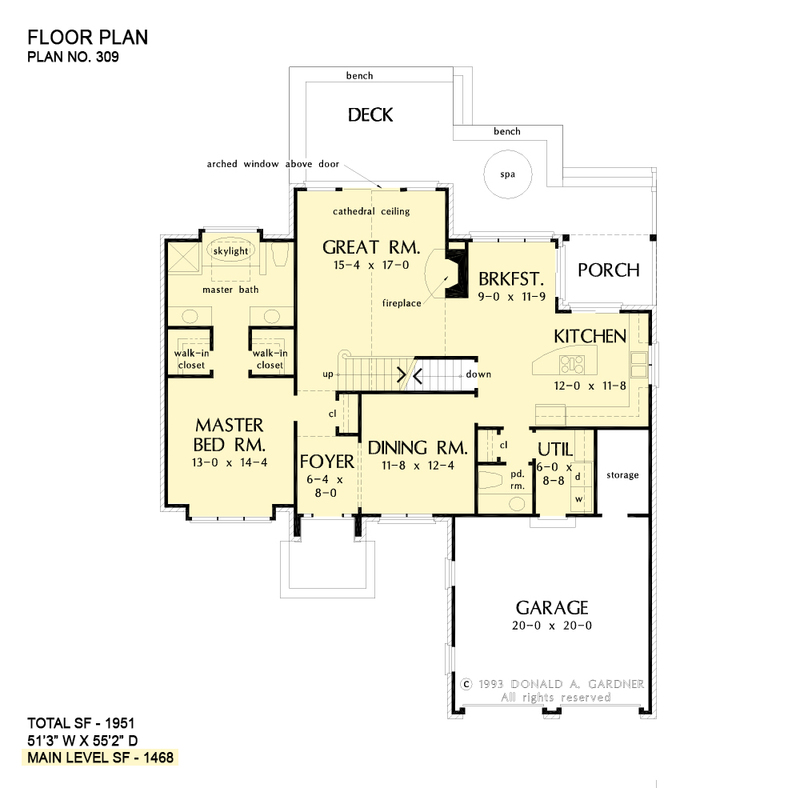 Ft.
House Dimensions: 51' 3" x 55' 2"
Great Room: 15' 4" x 17' 0"
Dining Room : 11' 8" x 12' 4" x 9' 0"
Storage (1st Fl.) (Sloped): 11' 0" x 3' 4" x 0' 0"
Foyer (2 Story): 6' 4" x 8' 0" x 19' 0"
Great Room (Cathedral): 15' 4" x 17' 0" x 12' 0"
Kitchen : 12' 0" x 11' 8" x 9' 0"
Breakfast Room : 9' 0" x 11' 9" x 9' 0"
Garage Storage : 5' 2" x 8' 8" x 0' 0"
Master Bedroom : 13' 0" x 14' 4" x 9' 0"
Bedroom #3 : 11' 8" x 11' 1" x 9' 0"
Porch - Front : 5' 6" x 5' 0" x 0' 0"
Porch - Rear : 9' 8" x 7' 4" x 0' 0"